January 19, 2015 by Bill McMurdo "Merlin"
Note something very important here. The result of partnering with God by covenant is that you eat till you are full. No skimpy eating just enough here – unless you need to lose a few pounds! Also, the deal includes you occupying good houses. The word “good” can mean rich and valuable. Remember that God is speaking to a largely agricultural population here when He speaks about herd and flocks multiplying. That was the kind of business they were in. If YOUR business is in ball bearings or pencils or selling insurance or you are a hairdresser, plumber or whatever – God will multiply what you do too!! That is the deal. YOUR SILVER AND GOLD ARE SUPPOSED TO MULTIPLY!! “Does this mean God wants me to get rich in business?” Of course He does. Why else are you in business which is all about making a profit by providing goods and services that benefit others? The whole point of being in business is to rack up cash. Friend, you must settle this in your heart. 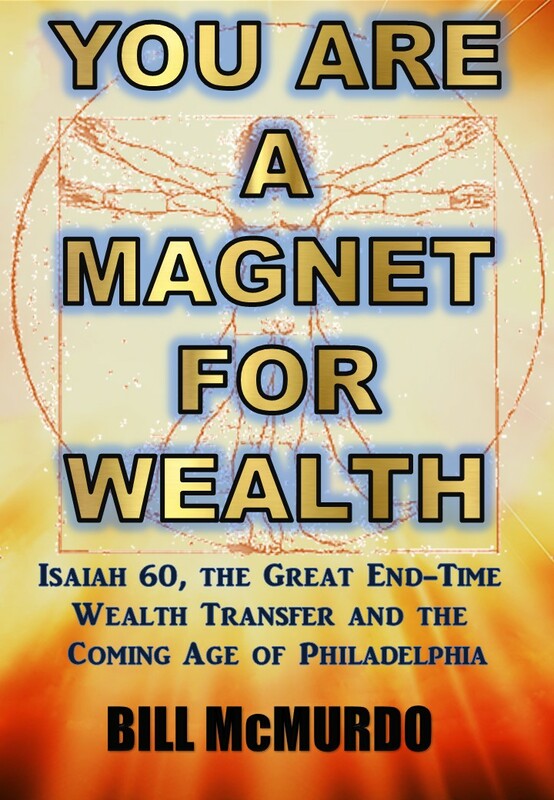 God wants you rich and if you are in business, it is an absolute requirement. You are not defying God’s will by succeeding in business, you are fulfilling it! The so-called morality of riches has nothing to do with riches themselves. Your heart is the deciding factor and it is absolutely fine to get rich provided you are not filled with avarice or bound by stinginess. In fact, being generous is both prevention and cure for these things. It is also a major factor in why you should prosper greatly. The more you accumulate, the more you can give away and use to fund good works. Money has no morals. It is a tool, a servant, an instrument that is good or evil only to the extent the person using it is based on what they do with it. Using money to fund a drugs deal is evil but using it to build a health centre is wonderful. The money itself can do either. This takes us into the very heart of the matter. Money is about being a steward. It is a stewardship issue. As they heard these things, He continued and told them a parable, because He was near Jerusalem and because they thought the kingdom of God would immediately appear. “When he returned, having received the kingdom, he summoned these servants, to whom he had entrusted the money, that he might know what everyone gained by trading. Several things jump out at us here. First thing we have to ask is: Did He mean this literally? If He did, many of us are in big trouble because we have had nothing to do with finance, business and making money grow. Those who say He didn’t are taking a big chance to say the least! Then we see that multiplying money is both expected and rewarded. The reward is actually political power which shows us that God has no problem with rich people running things. It all depends on who has the money. That is the system and it is one He endorses and ascribes to. Also, the principle of money goes to money. He who has, to him will be given more. That is fairness and justice from God’s perspective, if not man’s. Then we see the scary part of all this. Jesus regards unwillingness to trade and make a profit a very uncool thing and denounces people like this as wicked servants. Ouch. Not only do we have a mandate to get wealth and be rip-roaringly successful in business, we have the warning that failure to even engage is a major fail. In the Matthew 25 parable of the stewards, the unprofitable servant was cast into outer darkness, where there is weeping and gnashing of teeth. That could be interpreted as living in Scuzzville. Or worse. The point is, you and I have no excuse. Making money is not only fun – it is obligatory! God’s will is your prosperity and you can make this the foundation of any business endeavour. Get as much money as you can but don’t let the money get you is the rule of practice here. Make God your partner in business and life today! This entry was tagged business. Bookmark the permalink.